Your AirAsiaCredit Card offers you exclusive privileges that give you the freedom to experience life’s greatest adventures. Top up your BIG Points with a complimentary Welcome bonus points that will set you on your way to your dream destination! With your AirAsia Credit Card, enjoy a free flight when you redeem your Welcome AirAsia BIG Points when you spend at least Php20,000 within the first sixty (60) days from card issuance. New-to-RCBC Bankard cardholders will earn 8,000 AirAsia BIG Points which may be used to immediately redeem a free flight or to be saved for other flights in the future. For existing RCBC Bankard cardholders, you will enjoy 4,000 AirAsia BIG Points. Once the spend requirement is met, fill out the online redemption form here. Come aboard AirAsia’s flights and enjoy better rewards that let you travel to every destination in AirAsia’s network. With your AirAsia Credit Card, earn 1 AirAsia BIG Point for as low as Php22! Skip the lines and be the first to check-in, board and collect your baggage so you can be on your journey sooner. You’ll take priority. As a holder of an AirAsia credit card, you will be able to check-in first using designated counters where available, and then be one of the first to board the plane with Priority Boarding. In addition, you will also have the privilege of Xpress Baggage, meaning you’ll be picking up your bags ahead of other passengers and getting on your way sooner; thereby allowing you to start enjoying your trip right away. If you are travelling with a companion, he/she can avail of the same benefits provided that he/she also has a BIG Platinum card/ AirAsia card and his/her BIG member ID has been added to the Manage My Booking page in the AA website at the time of booking. To make sure you enjoy these wonderful benefits, don’t forget to provide your BIG member ID when booking flights online or thru a travel agent. AirAsia Principal Credit cardholders automatically qualify for the BIG Loyalty Platinum status for the first year of card issuance which means you are among the first to know about AirAsia’s BIG sale and participate in Final Call Sale where you can save up to 90% on AirAsia flights. The Platinum Membership status and its accompanying privileges are exclusive to AirAsia Principal cardholders only. All new principal AirAsia Credit cardholders with at least Php 20,000 single or accumulated retail purchase within sixty (60) days from card issuance are qualified to earn AirAsia BIG Points as welcome gift. New-to-RCBC Bankard principal cardholders will receive 8,000 AirAsia BIG Points while existing RCBC Bankard cardholders will receive 4,000 AirAsia BIG Points. Renewal, replacement, re-issued (previously cancelled, then re-applied) and supplementary AirAsia Credit cardholders are not qualified to get the Welcome Gift. To redeem your Welcome Gift, the cardholder must register at https://www.rcbcbankard.com/airasia-form/ upon meeting the required retail spend. Once validated, the welcome gift will be automatically credited to the cardholder’s AirAsia BIG Loyalty account. the retail purchase is disputed or deemed fraudulent. The Welcome Gift will only be received once and is not convertible to cash. The use of the AirAsia BIG Points shall be subject to the rules and regulations of the AirAsia BIG Loyalty Program operated by BIG Loyalty SdnBhd (formerly known as Think Big Digital SdnBhd) and can be found here: www.airasiabig.com. RCBC Bankard assumes no responsibility for and disclaims any liability with respect to the AirAsia BIG Loyalty Program. RCBC Bankard reserves the right to change the Terms and Conditions of the Welcome Gift at any time upon prior notice to Cardholders. These Terms and Conditions are subject to relevant laws, rules and regulations. Your AirAsia Credit Card will be delivered inactive. To activate, you must link your AirAsia Credit Card with your AirAsia BIG Loyalty Account. 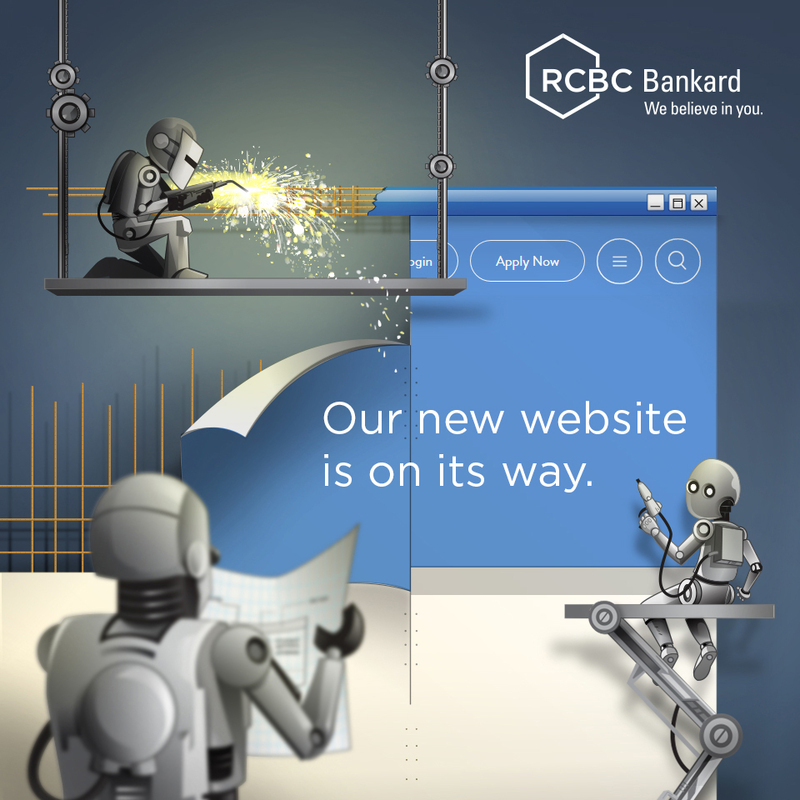 RCBC Bankard will send you an SMS to register the card with a BIG Loyalty Account. If you do not have an existing AirAsia BIG Loyalty account, you may register and sign up for the AirAsia BIG Loyalty program via airasiabig.com or download the AirAsia BIG Loyalty mobile app. Once linked, call 888-1-818 to complete the card activation process. All retail purchases of principal and supplementary cardholders will earn AirAsia BIG Points. Cash advance, Cash Loan/YourCash, Balance Transfer, Balance conversion, Unli0% and Unli Installment transactions will not earn AirAsia BIG Points. For installment purchases, AirAsia BIG Points will be awarded when the monthly amortization is posted. AirAsia BIG Points earned for the statement cycle will be reflected in your Monthly Statement of Account. To check your accumulated AirAsia BIG Points, logon to your AirAsia BIG Loyalty account via airasiabig.com or the AirAsia BIG Loyalty mobile app. To redeem, you must logon to your BIG Loyalty account at airasiabig.com or the AirAsia BIG Loyalty mobile app. Redemptions shall be subject to the terms and conditions of the AirAsia BIG Loyalty program via airasiabig.com or at the AirAsia BIG Loyalty mobile app. AirAsia BIG Points earned for the cycle will be automatically forfeited if the AirAsia Credit Card is cancelled or becomes past due. The AirAsia BIG Points are not transferable to any other card. You cannot combine your AirAsia Credit Card BIG Points with the points earned on your other RCBC Bankard credit cards. AirAsia BIG Points earned in respect of any reversed, disputed or void transactions will be deducted from your AirAsia BIG Points in the succeeding months’ earnings. The AirAsia BIG Points cannot be exchanged for cash or redeemed as rebate or credit to your AirAsia Credit Card. Disclaimers: RCBC and RCBC Bankard Services Corp. do not accept responsibility and are not liable in case of death or injury or consequential loss or damage arising from the consumption or acquisition of a product or service acquired through the BIG Points. AirAsia BIG Loyalty has the right to avail of the services of an agent or contractor to carry out all or part of the BIG Loyalty Program on its behalf. As a Cardholder, you therefore agree to supply this agent or contractor with the information required for these parties to perform their duties. The settlement of all disputes or disagreements pertaining to the eligibility of Cardholders to participate in the BIG Loyalty Program as well as the validity of BIG Points earned for redemption, accumulation, or application to other similar programs, will be handled by RCBC, RCBC Bankard Services Corp. and AirAsia BIG Loyalty at their own discretion. RCBC, through RBSC, shall exercise all possible means to ensure that all information disseminated in respect of the BIG Loyalty Program is accurate but shall not be held liable in the event of any errors or omissions in the process of dissemination where the same is not due to the fault or negligence of RCBC. By activating or using the AirAsia Credit Card, Cardholders are deemed to agree to be bound by and subjected to the AirAsia Privileges and Benefits Terms and Conditions and any additional terms and conditions stipulated by AirAsia (including the terms and conditions stipulated by Big Loyalty in respect of the Big Loyalty Program) from time to time. These Terms and Conditions shall prevail over any inconsistent terms, conditions, provisions or representations contained in any other promotional or advertising materials for the AirAsia Privileges and Benefits. AirAsia reserves the absolute right to vary, delete or incorporate any additions to these Terms and Conditions (wholly or in part) from time to time without any prior notice to Cardholders. AirAsia reserves the right to vary, revise, amend, impose, substitute, add and/or change any of the Terms and Conditions applicable to the AirAsia Privileges and Benefits without prior notice to Cardholders. The revised and/or new Terms and Conditions will take effect immediately upon the same being posted on www.airasiacards.com (“Website”). AirAsia may issue a notice to Cardholders concerning any new or revised terms and conditions, but it shall not be mandatory for AirAsia to issue such notices and the same shall be at AirAsia’s sole discretion. Accordingly, notwithstanding the above, advance and prior notice of any changes to the Terms and Conditions applicable to the AirAsia Privileges and Benefits may not be given especially of it is deemed necessary to make any such change immediately. The latest version of the Terms and Conditions will be on the Website. We advise you to check the Terms and Conditions regularly whenever you visit the Website to ensure that you have seen it and are aware of our latest or updated terms and conditions in relation to the AirAsia Privileges and Benefits. The retention or use of your AirAsia Credit Card after the effective date of any variation, amendment, revision, substitution or change to the AirAsia Privileges and Benefits Terms and Conditions shall be deemed to constitute your acceptance of such variation, revision or change without reservation by you. If you do not accept the proposed variation, amendment, revision, substitution or change, you are entitled to terminate the use of your AirAsia Credit Card by contacting RCBC Bank, and the provisions relating to termination in accordance with RCBC Bank’s terms and conditions shall apply. Notwithstanding the above, AirAsia reserves its absolute right to suspend, withdraw, cancel or terminate the AirAsia Privileges and Benefits (in whole or in part or any feature or benefit in relation thereto) without reason and/or any prior notice to the Cardholders. For the avoidance of doubt, withdrawal, cancellation, termination or suspension of the AirAsia Privileges and Benefits by AirAsia shall not entitle the Cardholders to any claim against or compensation from AirAsia or RCBC Bank for any losses, damages, costs or expenses suffered or incurred as a direct or indirect result of the act of cancellation, termination or suspension. The AirAsia Privileges and Benefits stated herein may not be applicable with any other on-going AirAsia offers, privileges, benefits, campaigns or promotions offered and/or operated solely by AirAsia or in conjunction with any of its partners, including other co-brand partners. All flight bookings made on AirAsia’s website, www.airasia.com shall be subject to AirAsia’s additional terms and conditions as stated therein including AirAsia’s terms and conditions of carriage. The decisions of AirAsia, RCBC Bank and/or Big Loyalty in relation to every aspect of the AirAsia Privileges and Benefits shall be deemed final and conclusive under all circumstance and no complaint or dissatisfaction from any Cardholders will be entertained. AirAsia’s (or RCBC Bank and/or Big Loyalty’s, where applicable) decisions in relation to all aspects of the AirAsia Privileges and Benefits is final, binding and conclusive under all circumstances. AirAsia and Big Loyalty shall bear no responsibility for any damage, loss (including but not limited to direct, indirect and consequential loss), liability, injury or disappointment incurred or suffered by the Cardholders in connection with AirAsia Privileges and Benefits. In the event of any inconsistency, conflict, ambiguity or discrepancy between the English version and any other languages of these Terms and Conditions, the English version shall prevail at all times. Apply now and enjoy all the privileges of the new AirAsia Credit Card.